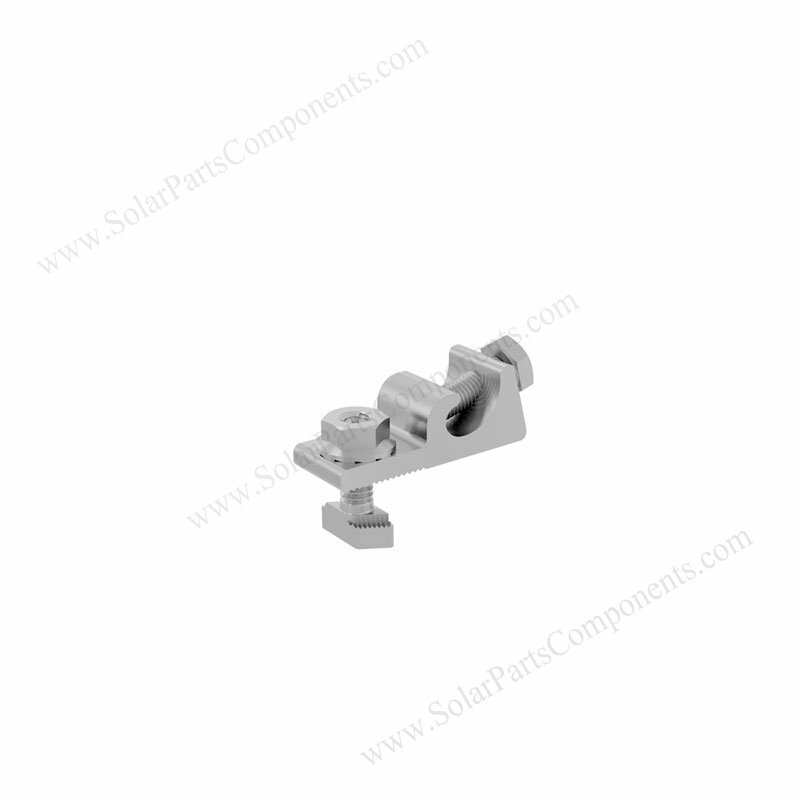 PV gounding lug is designed to fit alum rail perfectly , it’s a common component for bonding and earthing system. 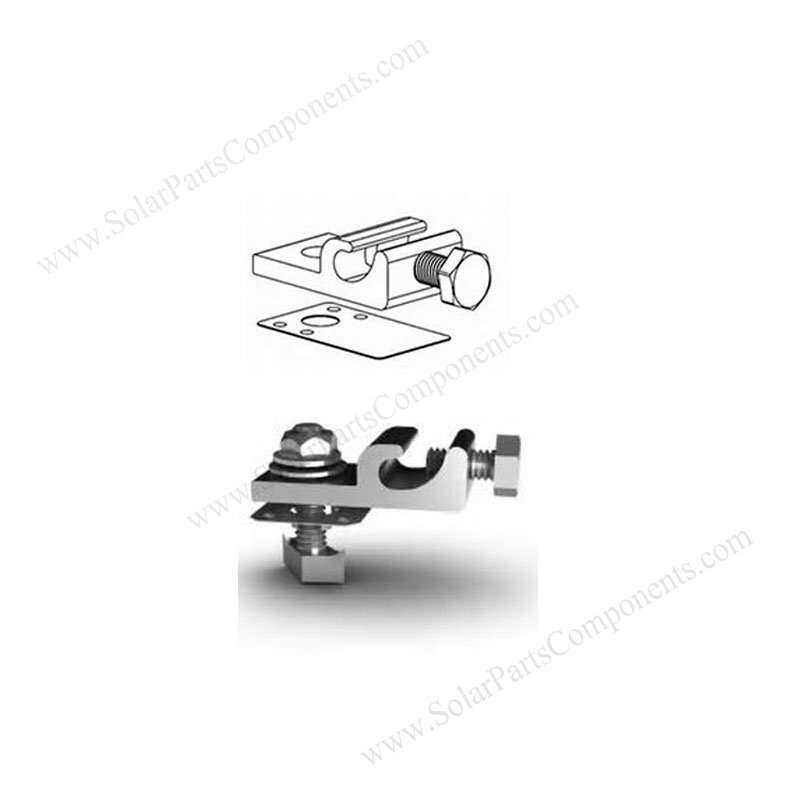 Solar ground lugs can be made of aluminium in material, located for side of alum rails . 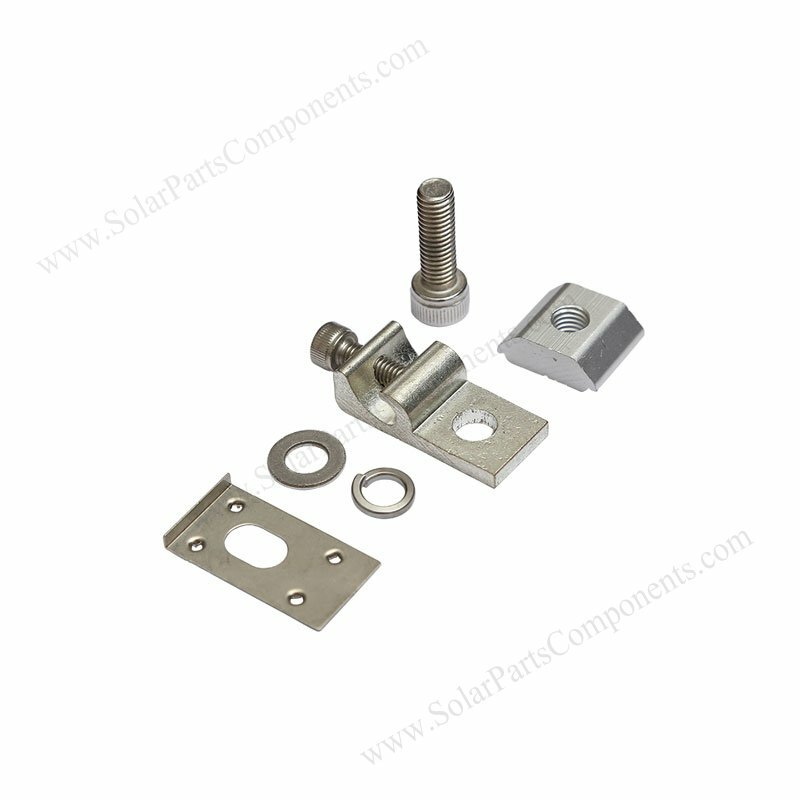 Galvanized grounding lugs are well electric conductive . We don’t using bare-copper or low quantity aluminum which can be corroded and cause faulty circuit and fire hazard. 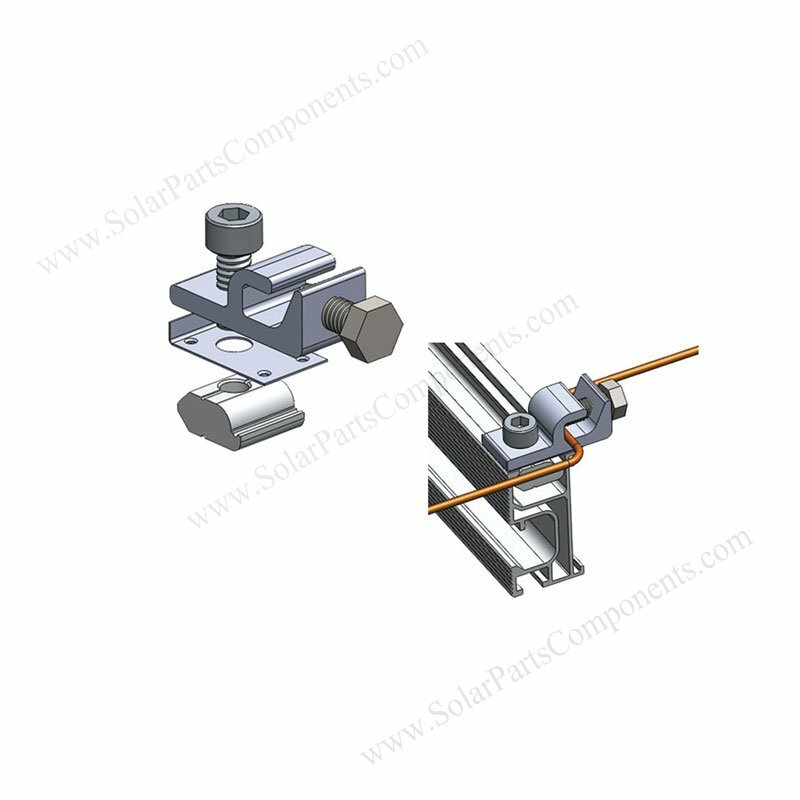 PV grounding clamps is a essential parts for grounding solar panels. Prevent oxidation by using serrated teeth and ribs . 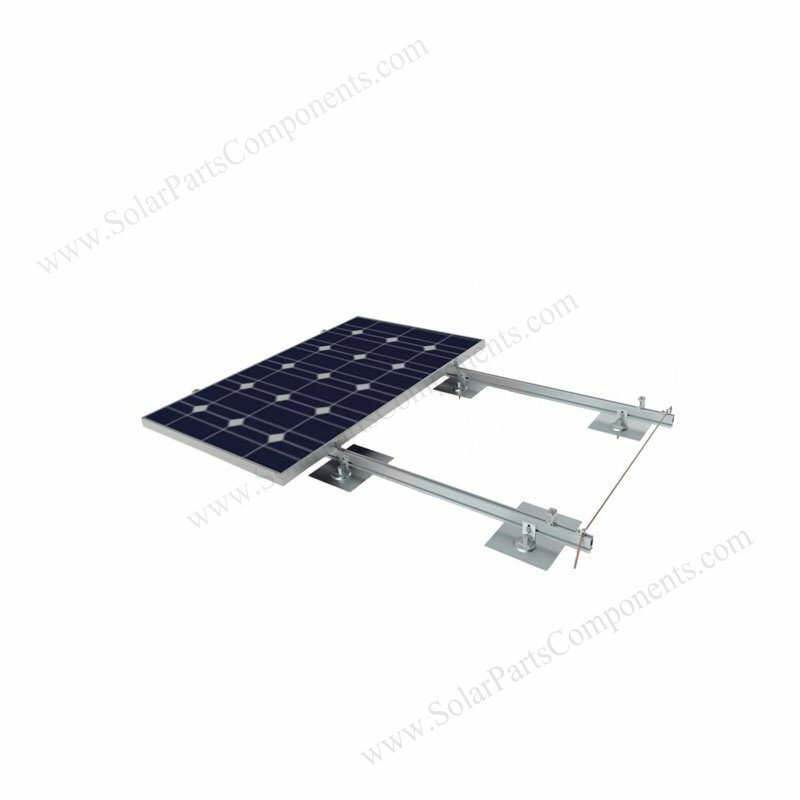 Corrosion resistance, easy torque . Good performatnce in salty and fog environment like seaside or forest . 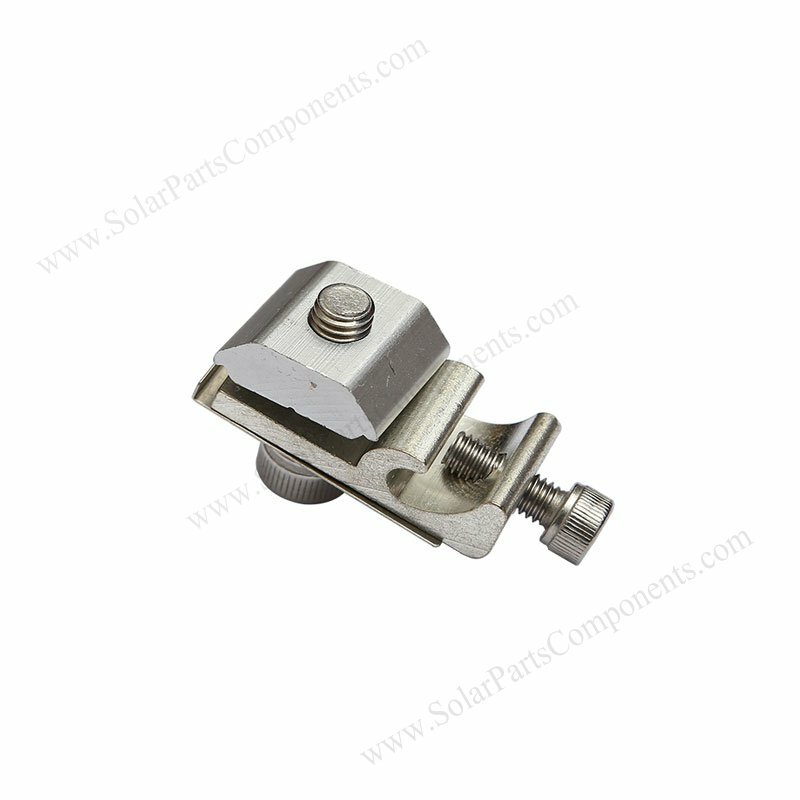 This solar grounding clamps can fit aluminum rails firmly , 10 years’ warranty . 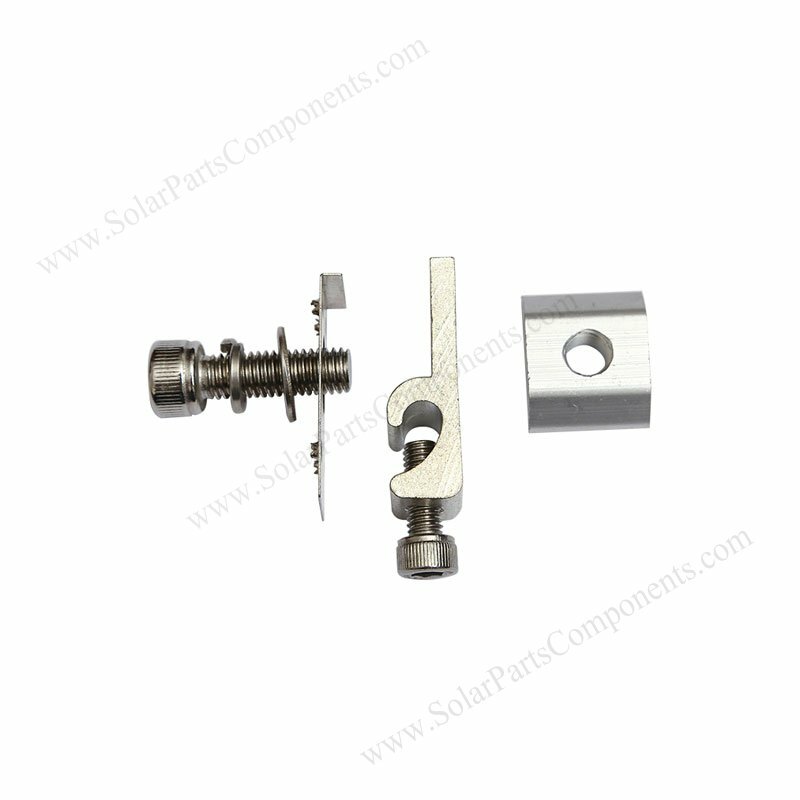 Material List for solar grounding clamps : anodized AL6005-T5 aliminium clip , stainless steel head screw , SUS 304 bolt .